San Pedro, Ambergris Caye, has a team of unbeatable young winner is making everybody very proud. The San Pedro Junior Sailing Club has been on a winning spree since the beginning of the year. 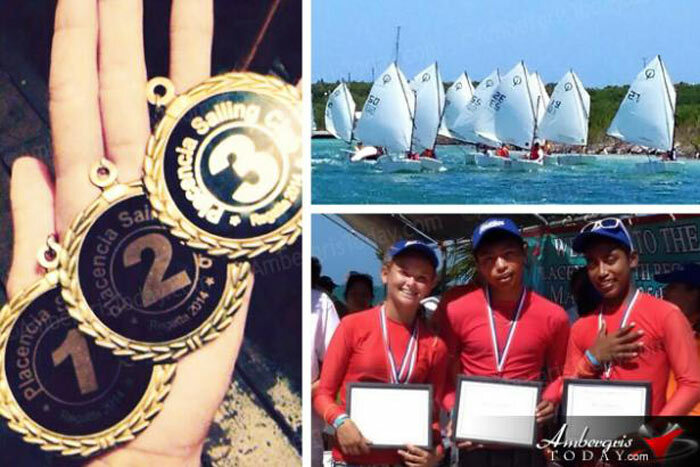 Their latest triumph was at the Placencia Regatta that took place this past weekend in southern Belize. The San Pedro Junior Sailing Club managed to secure the top three positions in the race, besting 46 other racers in competition from around the country. First place was taken by Jerdon Anderson, second place was Christian Trejo, and third place was awarded to Faith Noel for their outstanding performance! The San Pedro Junior Sailing Club also placed in several other top spots in the top half of the regatta with: Samantha Velasquez in 5th, Blanca Velasques in 6th, Davin Puc in 8th, Katherine Salinas in 13th, Rashawn Gonzalez in 21st and Gabbi Knox in 25th.